Taste the best chocolate lover's gift basket with this selection of rich velvety, creamiest and dreamiest dairy chocolate truffles. Our handmade gourmet bite size chocolate truffles will take minutes to be devoured! Grab a box and try it. The Nuttery Miami Beach truffles are homemade with all natural ingredients and made with flavor, texture and the rich goodness our clients expect of us. All our products are KOSHER CERTIFIED. Nuttery Gift Arrangements are backed by our 100% SATISFACTION GUARANTEED. 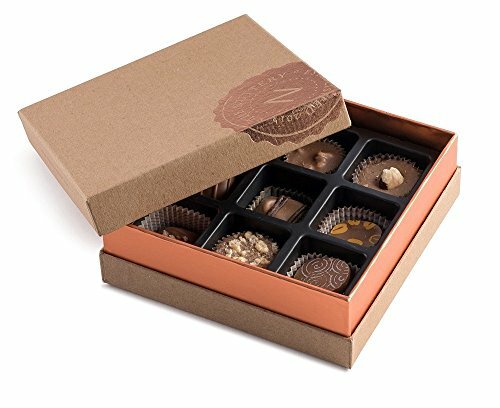 WORLD'S FINEST TRUFFLE COLLECTION-Our fancy Nuttery box includes a variety of our most popular milk chocolate truffles that will keep you asking for more. Chocolate makes you happy, try one and your taste buds will tingle in delight. HIGH QUALITY, FRESHNESS AND PREMIUM- Premium chocolate set presented in our classy gift box are made on premises right-in-house to ensure you get the highest quality available. ELEGANT CORPORATE AND HOLIDAY PARTY BASKETS -Sure to be appreciated by business colleagues, clients, employees and co-workers or just celebrating with your friends and family for all holiday occasions. HEALTHY SNACK ASSORTMENT- Our dairy chocolate truffles is a combination of prettiness, healthiness and deliciousness, Filled with nutrients. A variety of many flavors. 100% GUARANTEED SATISFACTION- Love your premium Miami Beach chocolate truffles in their classy gift box and your satisfaction is guaranteed.